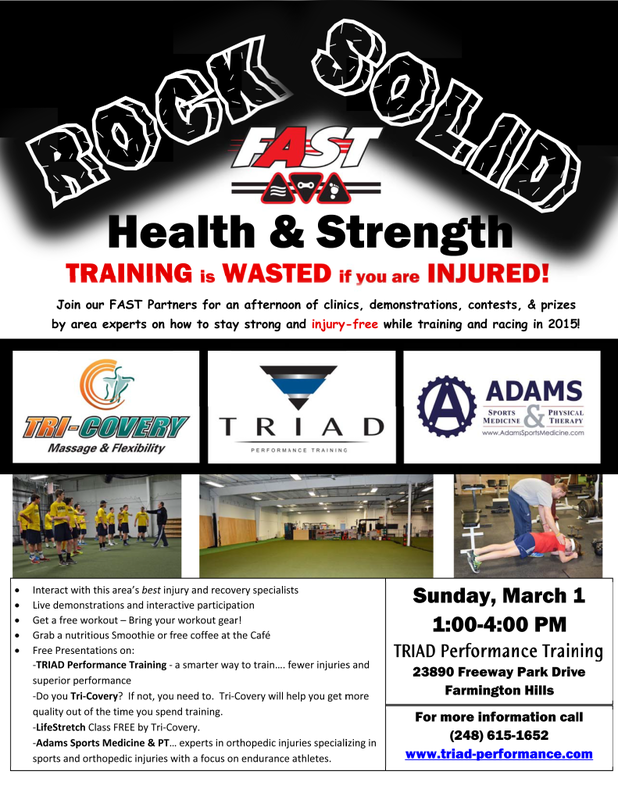 To all of our Triathlete friends and FAST athletes: Sunday, March 1st (tomorrow) is an event hosted by TRIAD and supported by Adams Sports Medicine & Physical Therapy and Tri-Covery Massage and Fitness. It will be fun and informative, with hands on and discussions from all of the resident professionals. Hope to see you there! We advocate for our athletes to take on a mobility/flexibility regimen. A perfect adjunct to the daily grind is a series of yoga positions, or vinyasa-type flow of one move to another. Have concerns or need guidance? Give us a call.